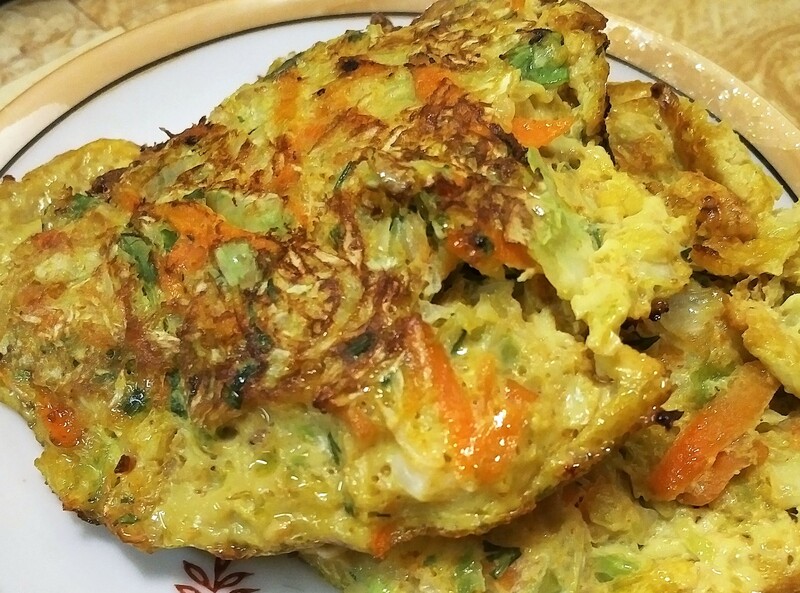 These savory cabbage pancakes are very easy to make and it won’t take more that 10 min total, including prep time. The best part is that these are very satisfying and have only 5g carbs (!) per serving. You can customize the dish’s flavor by playing with different spices: If you add a dash of turmeric and curry powder, you’ll have a nice, Indian-cuisine-inspired dish or you can go for Mexican with a taco spice. Italian, with fresh or dried basil, is also an excellent option. Slightly beat the eggs with a whisk. Add the rest of the ingredients, mix well. Approx 1/4 of the mixture makes one pancake. Add the mixture to the pan, using a tablespoon. Form four pancakes. Fry on medium high till golden brown. Flip to fry the other side. Serve hot, with a tablespoon of sour cream (optional). If you’re on a low-carb diet, this dish also makes a great dinner entry. Goes well with chicken, fish or shrimps.